The Retail Radiolink & Exclusion scheme links over 200 businesses together with BedfordBID CCTV and Bedfordshire Police, enabling the town centre to work as a team, helping to eradicate shop theft, fight business crime and to ensure Bedford Town Centre is a safe place for people to shop and relax. BedfordBID manages and co-ordinate the schemes and helps businesses to train their staff, hosting frequent training sessions and sending out updates and information. BedfordBID (Action Against Business Crime) is a well established partnership between stores and businesses in Bedford town centre. The scheme now has over 200 active members who are linked together in the bid to fight shoplifting, business crime and undesirable individuals from disrupting business. 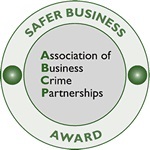 Members of the partnership include BedfordBID, Bedfordshire Police and CCTV. BedfordBID act as the organisation body for this scheme and will help to train your staff, host training sessions, co-ordinate the exclusion order photographs and send out frequent updates and information. Other agencies include Bedfordshire Police who respond rapidly to any calls for assistance from Retail Radiolink users, CCTV who are monitoring the security cameras in the town centre which allows for surveillance and monitoring if required and other members of the Retail Radiolink scheme who are on hand to assist if necessary. All businesses within the BedfordBID boundary are entitled to participate in the exclusion order scheme. This scheme excludes known shoplifters from the shops and businesses in town. Photographs of those who are currently excluded are issued to participating businesses and a window sticker in the store window shows those excluded that they cannot enter the store. Previously this scheme was exclusively for Retail Radiolink members but now is funded by BedfordBID and is FREE for all businesses which fall into the BID boundary. To join the Exclusion scheme members must sign up to the BedfordBID (Action Against Business Crime) partnership and sign an agreement with Bedfordshire Police allowing the issue of photographs to individual businesses. Photographs of the most prolific offenders are supplied regularly to participating businesses and full training on procedure is given. If you would like your business to take advantage of this scheme, would like further information or an order form for a radio for your business please contact us on 01234 404500.